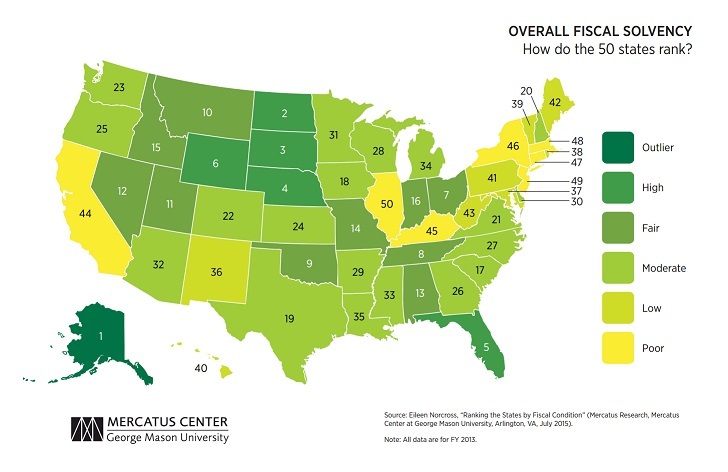 You could make a very similar map to the one below (source here) by coloring Democratically controlled states Yellow and Republican controlled states green. You could do something similar by coloring the states that took the Obamacare SCOYUScare Medicaid expansion as opposed to those that declined. My state of Kentucky, which has had a democrat as governor for years, is an embarrassing 45 out of 50. We can change that this November by electing Matt Bevins.